MINT CONDITION. Ready to Activate. Screen has no Cracks or Scratches. 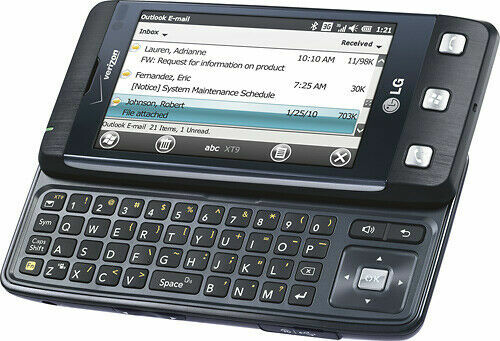 Order will include the LG Fathom VS750 - Black (Verizon Page Plus) Prepaid QWERTY Touch Smartphone with the back cover and a working battery. Powered by Microsoft Windows Mobile 6.5 Professional operating system, the LG Fathom VS750 touchscreen mobile enables you to view and edit with the Windows Office Tools. Access super-fast internet connection with the HSDPA 7.2 Mbps 3G support of this LG smartphone. Using the microUSB connector of this touchscreen mobile you can easily transfer data from your PC or other peripheral devices to your phone. Shoot memorable moments with the 3.15 MP camera with autofocus of this LG smartphone. With A-GPS support, the LG Fathom VS750 gives you exact routes and precise directions so that you reach your desired destination on time. It couldn't have been new. I gave it to my grandma who is 80. She absolutely loved the phone but it stopped charging after about 30 days and no one could get it to work. didn't want to spend $30 on a battery because no one new if that is what was wrong. Her only source of long distance so we had to do something immediately. This phone is perfect for me. I have a small business that is wedded to the microsoft world so a windows phone is a natural. Thsi phone is simple with very few bells and whistles. It has a slide out keyboard. It texts, e-mails, sends and receives calls great, has a decent battery life is durable (I've only had it about a month now. Syncing it with my outlook schedule is a snap. 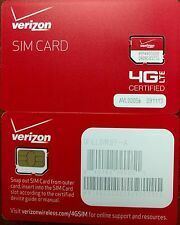 I use it on the Page Plus plan which runs on verizons network. It was a fantastice price. It has never crashed on me. The screen is very crisp and easy to read. The accelerometer is slow, the resistive touch screen could be more responsive but works fine. Overall a great phone. My wife loves this phone. We are new to the whole "smartphone" thing and this phone is perfect. It may not be the latest and greatest, but for folks like us that don't need all the apps and games it's great. We have never gone wrong with an LG phone. It is built well, functions great, and the WM OS works fine for what she needs. It is a little on the heavy side for the size. (not complaining. just an observation.) Combine the low price and activation on PagePlus and this is a nice entry level smartphone for the budget minded folks. Everything I needed in one solution! Everything I needed in a phone. Keyboard, touchscreen, can install applications. Much more up to date than my previous flip phone. I generally use it as a PDA. I'm getting a curious audio delay with it, but that could have something to do with my service, or perhaps a setting. In any case, I'm happy :) The battery life is quite good! And the battery in my last phone was new!